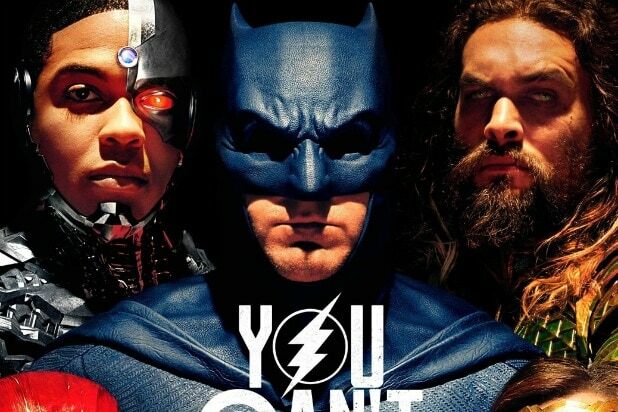 Warner Brothers has revealed a new “Justice League” poster ahead of its Hall H presentation at San Diego Comic-Con on Saturday morning. 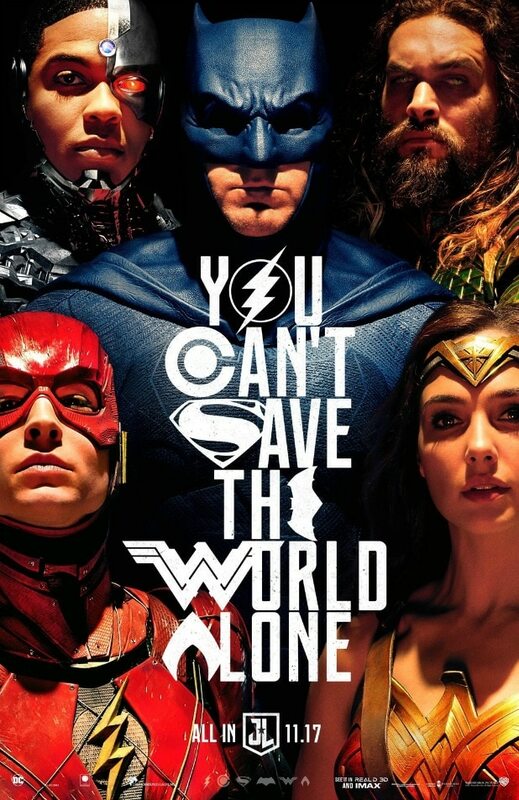 The new poster is in the vein of comicbook artist Alex Ross’ classic DC comicbook covers. 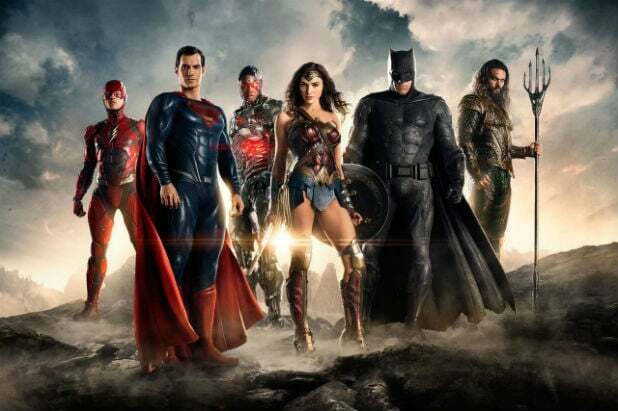 Warner Bros. is expected to unspool the latest trailer for “Justice League” at Comic-Con today, when DC Entertainment does their presentation Saturday morning inside Hall H. The first footage of Jason Momoa from his standalone “Aquaman” film will also be showcased. Millions of people woke up on Saturday morning to a new trailer for the "Justice League" movie and, if you're anything like us, you were totally baffled by it. Here are the absolute worst parts of the trailer -- though if you're looking for Aquaman-bashing here, best look elsewhere. If there's one thing everyone complained about "Batman v Superman" not having enough of, it was pointlessly indulgent and nonsensical displays of light and color. Good thing Zack Snyder is bringing them back for "Justice League"! In case you were wondering, Lois Lane is in this movie. I would guess they tossed in this random shot because they needed to remind everyone that there could be some redeemable aspect of this movie. Poor Amy Adams. Here's The Flash battling an alien wearing a Nazi uniform in a really oddly composed and claustrophobic shot. Were they afraid of pulling the camera back? Likewise, we get to see Batman take down an alien bug in a shot that's weirdly small scale for a movie like this. Every action shot in this trailer looks bizarrely small scale, aside from this ultra-wide battle shot that was seemingly ripped straight from the prologue of "The Lord of the Rings: Fellowship of the Ring." Did "Aquaman" director James Wan helm this scene? That's the only explanation I can think of for why it looks like it came from another "Insidious" sequel. It's no surprise that a "Justice League" movie would involve a glacier somehow, given Superman's propensity for hanging out in them. That said, Superman is not in this trailer, and this shot was inserted seemingly at random because at no point do we see the glacier aside from this half-second shot. Here we see the Justice League preparing to do battle inside what appears to be the throat of a Xenomorph from the "Alien" movies. No explanation is given in the trailer for this decidedly ungrounded setting. Football may be America's game, but in this trailer all this shot does is remind fans that this long-awaited superhero team-up movie is also saddled with the extra baggage of being the origin movie for Cyborg for some odd reason. Oh wait, it's actually two origin movies, as this shot of The Flash visiting Billy Crudup in jail reminds us. It's not hard to imagine Snyder's directions on this shot: "OK, so you gotta grab the bat shuriken out of the air, but, like, in a cool and stylish way that makes no sense." I love this part of the trailer where it shows the four non-Batman leads doing a photo shoot for the "Justice League" character posters.